I’ve visited Lerici twice. 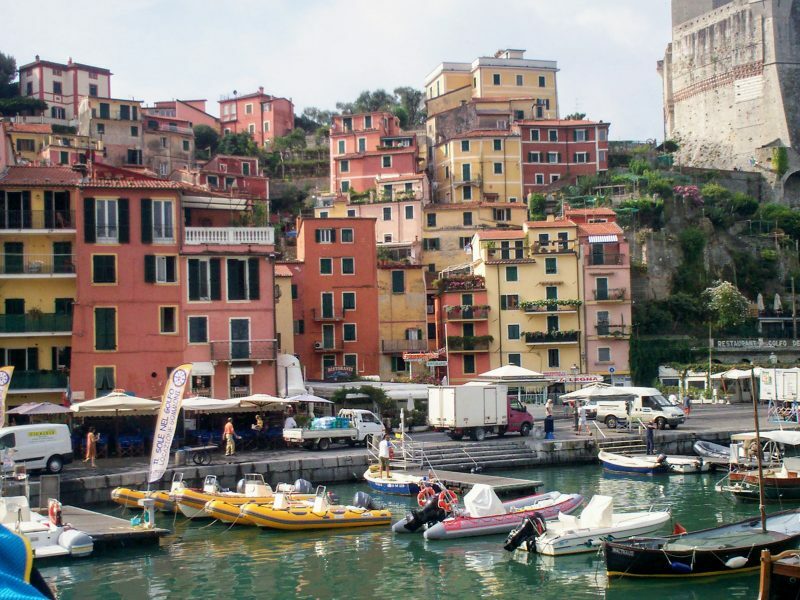 The first time, in 2008, we stayed several nights in the Hotel Florida Lerici and used the town as a jumping-off-point for the nearby Cinque Terre. The second time was in 2015, when my travelling companion and I took a bus trip from La Spezia for lunch and some light sightseeing. 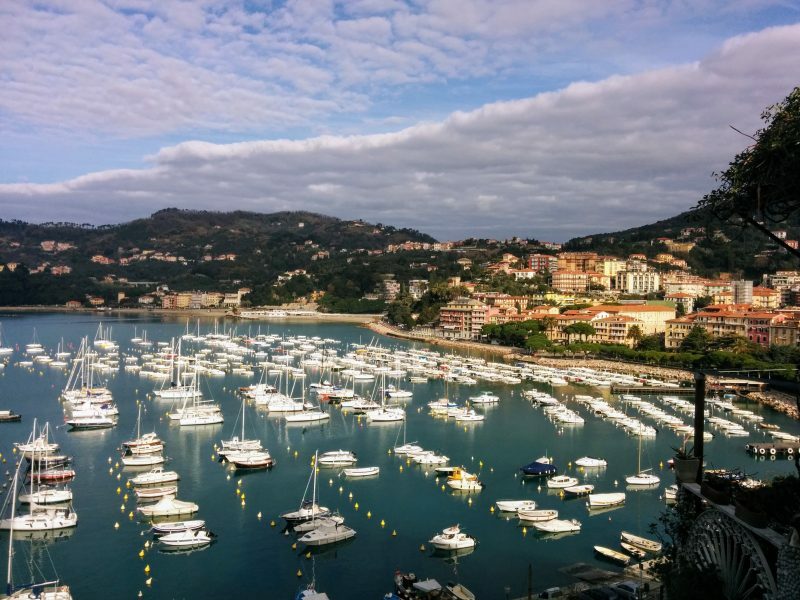 The town’s primary attraction is the Castello di Lerici—Lerici Castle—which was constructed almost 900 years ago to protect the town and harbor from Saracen attacks. It was used militarily for three centuries, under the rule of the Republics of Genoa, Pisa, Genoa (again), and later the Ligurian Republic. 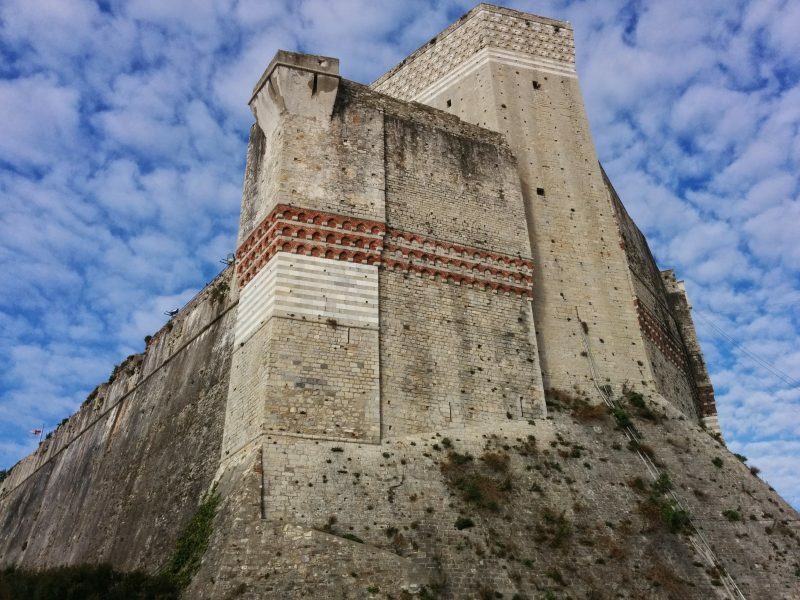 Today the castle houses a paleontology museum, following the discovery of dinosaur bones in the Lerici area.